Milo is crated trained and sleeping through the night. He has had a few accidents in the house but for the most part he goes outside. 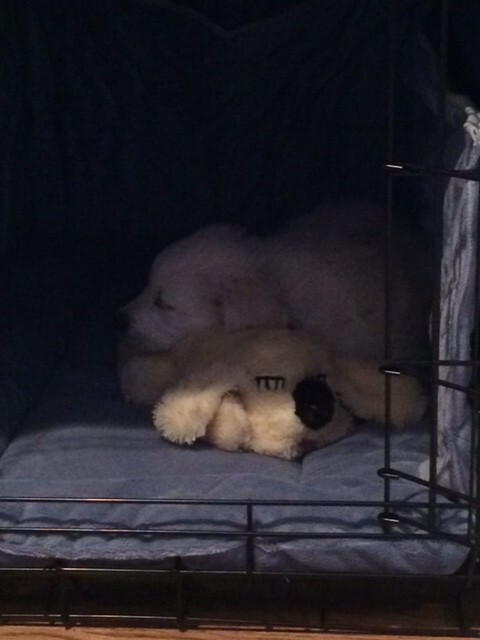 He loves his snuggle puppy and his crate. 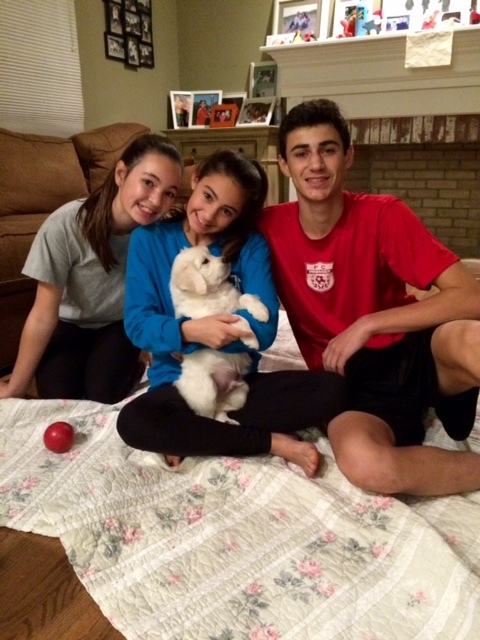 Here is a pic with Milo and his snuggle pup and Milo and the kids. Hope you have a Merry Christmas.